Located in the Pajaro Valley, Watsonville has a pleasant climate the whole year round, which makes this place an ideal summer escape for many. Diverse groups are making Watsonville their home; you will find a large group of Hispanic people, groups of Croatians, Portuguese, Filipino, Caucasian, Sikhs and even Japanese. As Watsonville’s economy builds around the farming industry, the best thing to do is to visit farms growing strawberries, apples, lettuce and other vegetables. But let’s explore further. We just had to come get a berry pie! This is a family ranch suitable for the entire family to spend a day. You will have plenty of fruit picking opportunities from the trees and vines, and enjoy the fruits under the shade of the apple trees or on the hills. Try the fresh berry jams, their award-winning apple juice, and the best fruity pie and remember to bring home some! Sunset State Beach is an all-time favorite for visitors. This campground is set under pines with beaches along the coastline and a spectacular view of Monterey Bay. The best time to visit this State Park is during the summer when many events and activities are organized including Junior Rangers programs, nature hikes and campfire programs. Other times, you may enjoy camping, fishing, picnicking and you can play your remote-control glider port. Enter the Palm Beach State Park from a different entrance of Sunset State Park. There is free parking options near the beach and it is easily accessible via the Riverside Drive exit off Highway 1. This state park leads to a wide sandy beach on Monterey Bay. Vacation rentals and Pajaro Dunes Resort are fronted by the beaches. The beach stretches for miles, providing ample space for beach lovers. Being part of the Santa Cruz Mountain range, Mount Madonna County Park is characterized by the redwood forest overlooking the Santa Clara Valley and Monterey Bay. As you follow the slopes that descend towards the valley, you will see the changing landscape from redwood to oak woodland, dense and grassy meadows and perhaps take a ride on horseback for the fun of it. Distinctively local, Elkhorn Slough Brewing Company produces specialty beers using barrel aged wild ales made with locally harvested yeast and other locally ingredients. Try out the gold-medal winning recipes created by Brewmaster Michael Enos, a local veteran home brewer. This annual fun fair is one that blends old favorites, history and tradition with new ideas. Programs are organized to connect the youth with the livestock shows, horse shows, and more. On the grounds is the fun carnival accompanied by stage entertainment on the main Amphitheater Stage. Located at the entrance to Santa Cruz County Fairgrounds, Agricultural History Project Center and Museum aims to educate the public on the latest agriculture research. Visitors will discover the agricultural history of Santa Cruz County, Paiaro Valley and Watsonville. School groups and families are most welcome! This is a whole-year-round farmers’ market operating every Friday from 2-7pm; you will find fresh produce and prepared foods from the heart of Pajaro Valley. Over here is where the Hispanic community showcases their heritage cuisine, and the atmosphere is beefed up with a variety of Latin American treats such as pambasos, huarache and chicharrones. This is a one-of-its-kind farmers market. Located in the Pajaro Valley of Santa Cruz County, this is a 150 acre (0.6 square kilometer) patchwork of working farm, riparian corridor, oak and redwood forest. It offers programs to empower youth and families to help build and sustain healthy food, farming, social and natural systems. 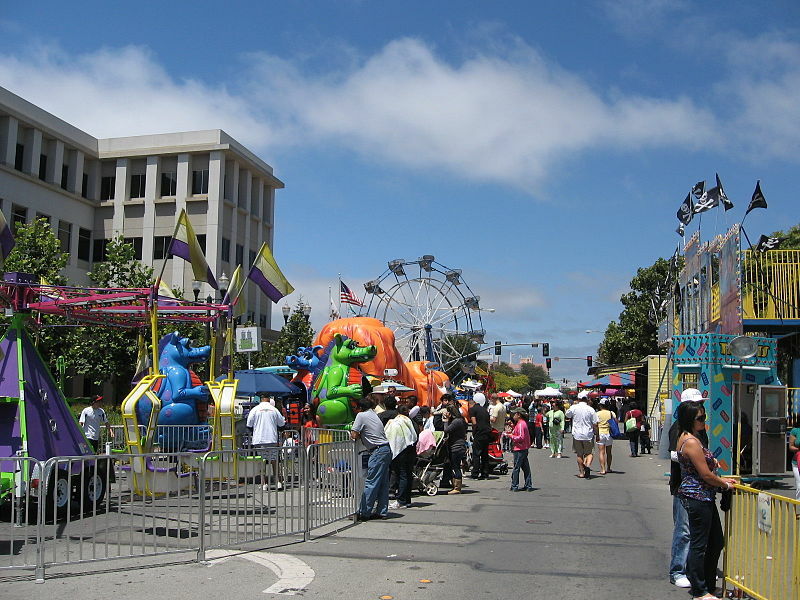 Strawberry Festival is an annual event that provides a safe and family-friendly experience in downtown Watsonville. As strawberries are the largest and most valuable crop in the Pajaro Valley, this festival is a celebration and recognition of their contribution to the Watsonville community. Join the fun and help raise funds to bring further public awareness to the strawberry farming. You will be naturally attracted to Watsonville for its natural beauty. Farms, beaches and various landscape works with the fine weather to make your stay in Watsonville pleasant and enjoyable! Seize the opportunity and bring home the local produce when you visit Watsonville.